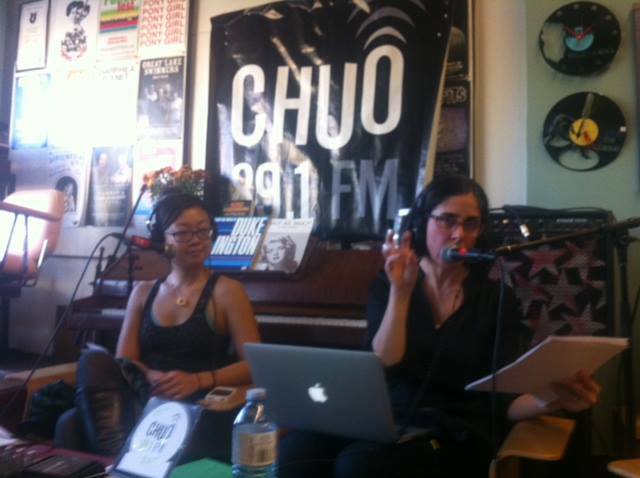 Scary Bear Soundtrack had a lovely time participating in CHUO FM’s Funding Drive! 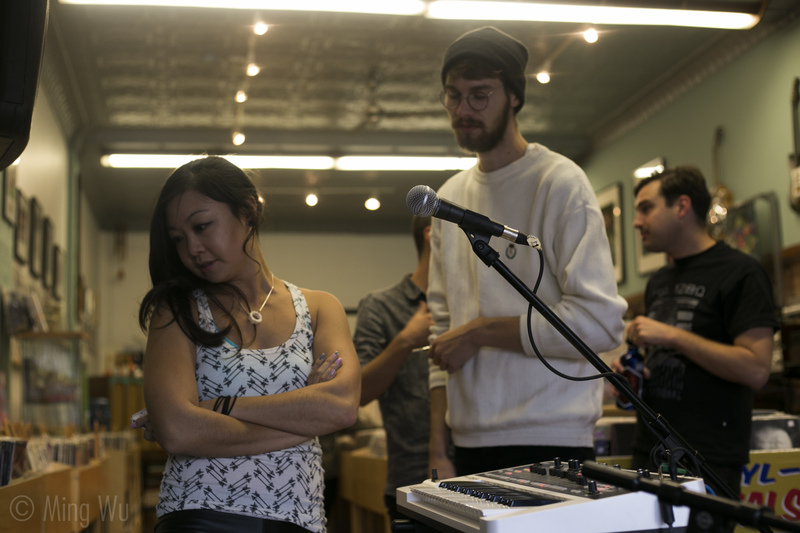 Thanks Ming Wu for letting me perform live on air on his No Filter radio show – you can see photos and listen to the stream here. I also enjoyed sharing my playlist of my favourite female/First Nation indigenous musicians on Ladies First, also broadcast live from the Record Centre (you can hear what we played here. And thanks for playing us on your Radioactive radio show. We have so much love for CHUO FM! In other news, check out this great article that Up Here Magazine wrote about our new album Ovayok Road. 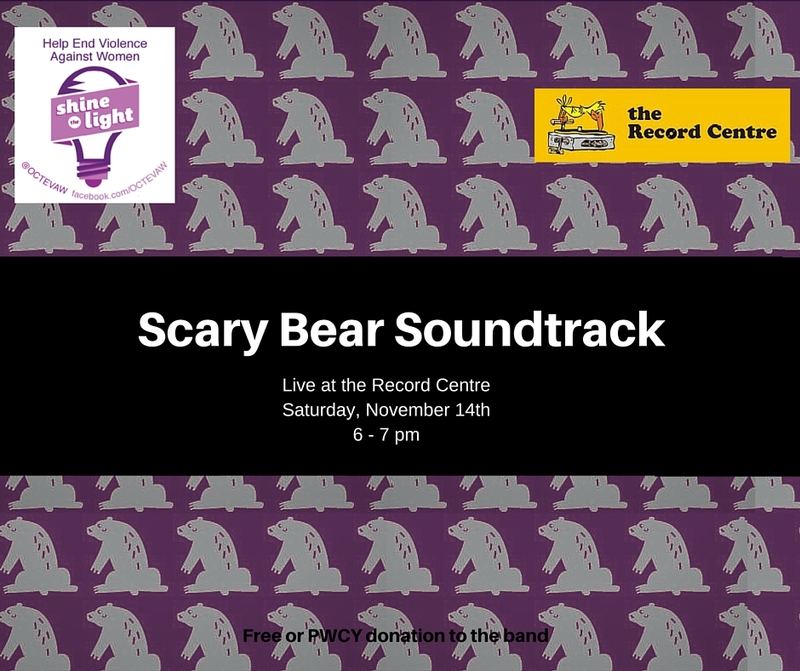 Finally, we’re excited to announce that we’ll be performing live at the Record Centre on Saturday, November 14, at the Record Centre in Hintonburg, as part of the Ottawa Coalition to End Violence Against Women’s Shine the Light awareness campaign! This will be a free, family-friendly early show at 6PM, so bring the kids! Over the years, CHUO FM, the Ottawa community radio station has been so supportive of our music over the years. We’re stoked to announce that we’re taking part in CHUO FM’s funding drive this year in two ways. First I (Gloria) will be performing live on air and at the Record Centre *today* Monday October 19 on Ming Wu’s No Filter CHUO FM radio show which runs from 3-5PM, along with fellow Ottawa musicians Pony Girl and Isaac Vallentin. I’ll also be guest hosting one of our favourite radio shows Ladies First with Lina, broadcasting live from the Record Centre on Thursday October 22 at 5PM. 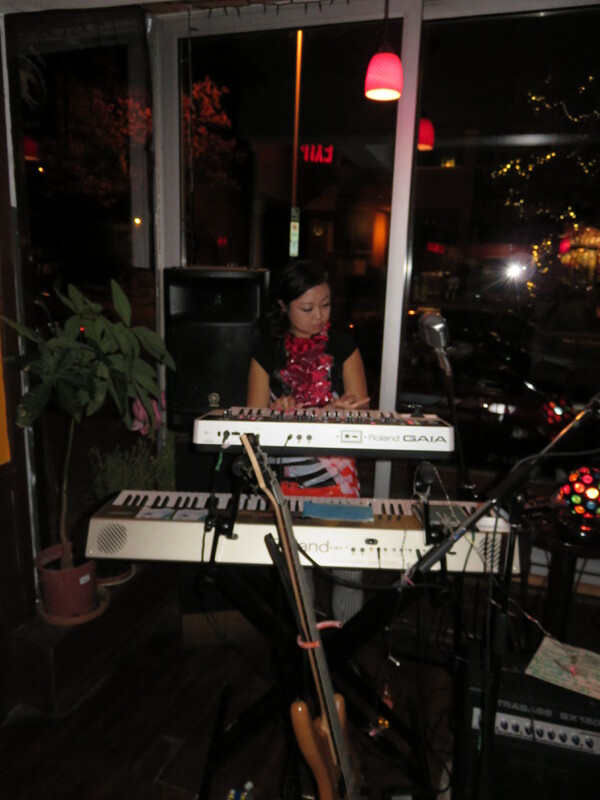 I (Gloria) will be playing tracks from my favourite female indie indigenous musicians in Canada. Make sure you tune in, or even better, come hang out with us at the Record Centre! We’re so proud to present the music video for our single Fault Lines. 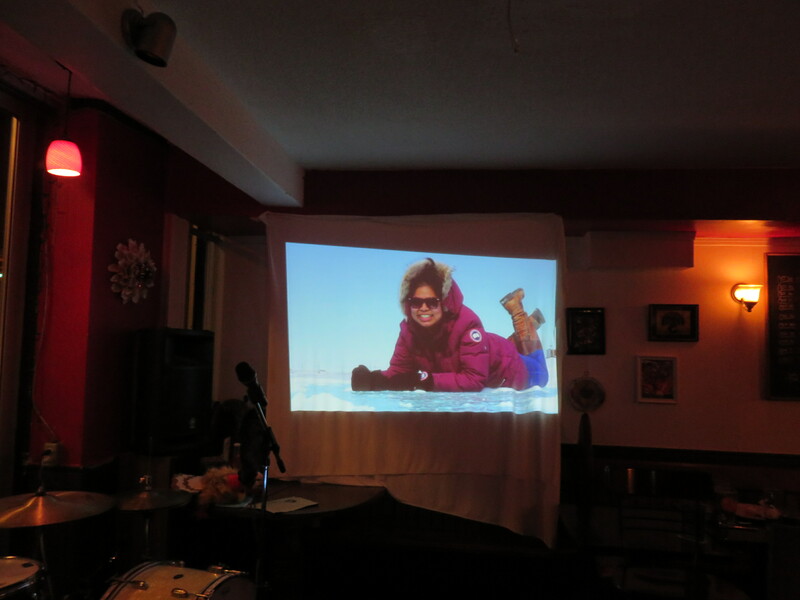 We would like to thank our director Mailyne Briggs for coordinating this whole project; videographer Mason Greenley for his beautiful filming of Christine on location in Cambridge Bay, Nunavut; artist Alexandre Aimee for her fantastic painting; Sabrina Jade Designs for the gorgeous wardrobe; and all you wonderful people who submitted “End Violence Against Women” selfies. from all over the world. Thank you so much. We love you. 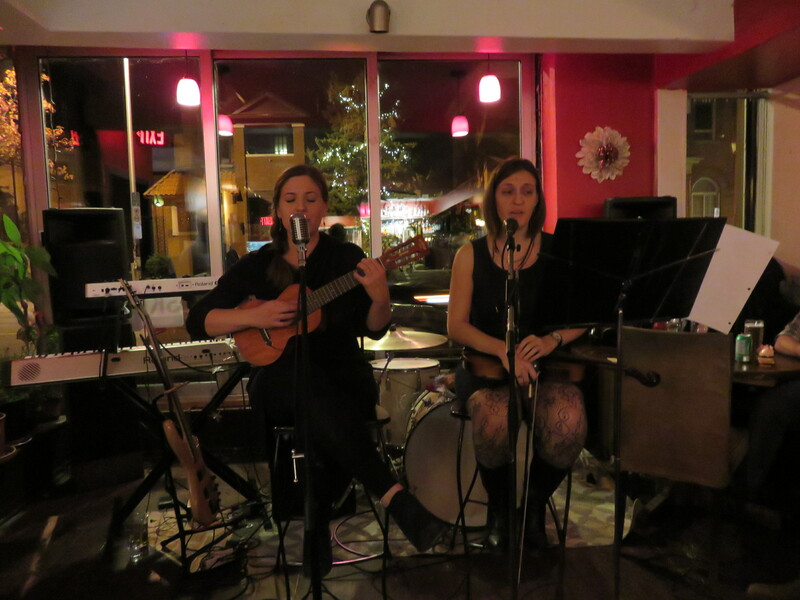 Also, a big grateful hug to fellow musicians like Vague Notion, Clio Em, Erin Saoirse Adair, and Stella Bell-Murray (aka Nine of Nines) for their endless support for us throughout this project. 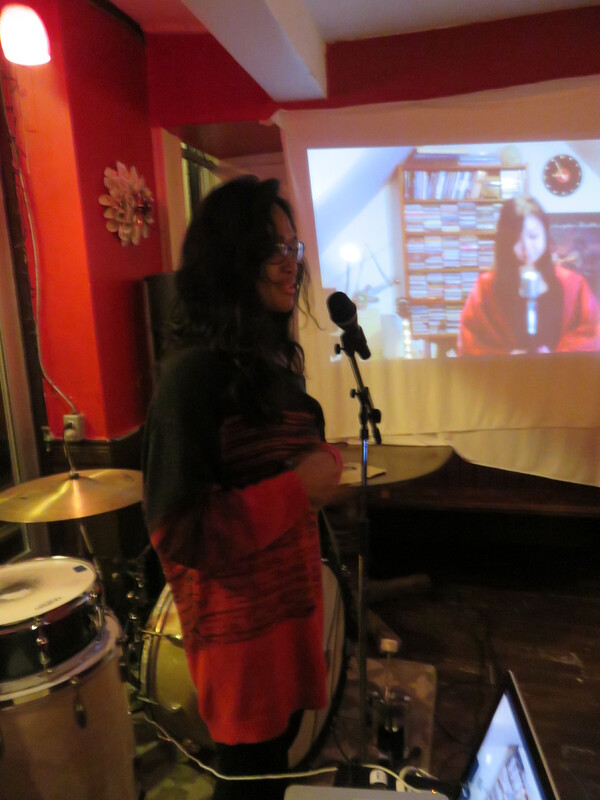 We had a fun time at the music video release party on Saturday, showcasing Mailyne’s artwork and featuring our dear friend Clio Em as our opening act. 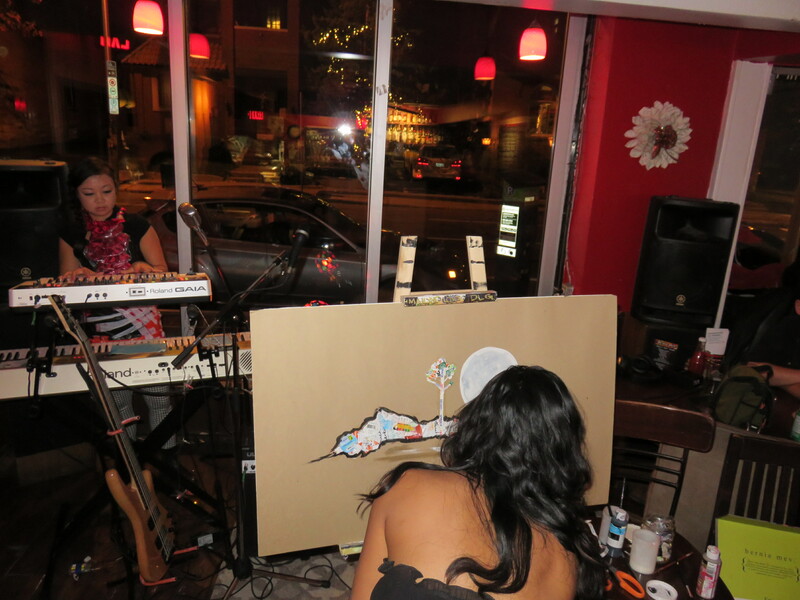 Check out Mailyne’s beautiful photos from the event here. 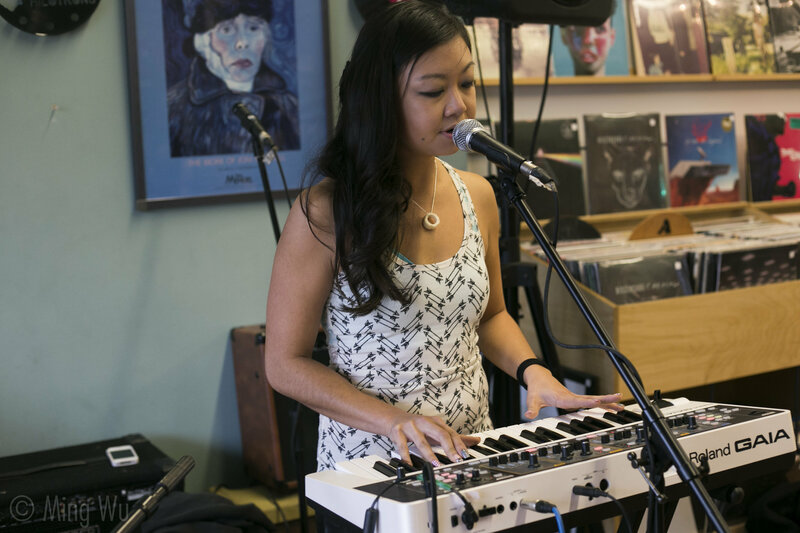 When listening to Scary Bear Soundtrack, it can only evoke a heavenly, dreamlike experience from beginning to end built around the airy synthetic beats and breathy, wistful vocals of Gloria Guns and Christine Aye, and I think the duo is sounding more serene than ever on their latest album Ovayok Road.